So with the yaris gone. Got a used 2017 cruze premier formally the LTZ. Pretty happy with it, as almost every thing i need. Leather seats, apple play, heated seats but only in the front the RS has the rear also. Good on gas, the trunk is big for a car this size. Nice smooth ride on 17" tires, not much body roll. It drives and feels like a jetta had one for a rental, as it is Opel designed, wasn't expecting that. As I did my checked up and cleaning alot of the parts are bosch. I like the rental car, boring look. Doesn't attract attention so I know it will always be there in the morning on the drive way. Few things I don't like is the start/stop feature. I get it why it was put on, but you can't turn it off and it isn't learning. I've had it work with I'm in my driveway, not needed as I'm going to turn it off as I'm parked. Also a little worry about it for winter, don't want it turning off and on when we get those really cold days. Also the 1.4 is turbo and direct injection version 1, not 2 which has the injectors on top and inside so clear the carbon built up. So have to get a oil catch can hopefully it will cut down on the carbon. I'm already using good oil amsoil or mobil 1 EP, and good fuel shell or esso. As for mods not much painted the calipers green with left over paint from work. Going to get some LED bulbs, tint the glass and change the front Chevy emblem from gold to black and maybe change the rear bowtie to the Holden badge and the name from the Cruze to Astra LTZ. as this model of sedan is Australia. The Opel sedan version in the Buick Verano. Also got new tires, as I'm getting older and lazy now I got the Nokian WRG4. A true all weather tire. So one set all year round. Well see how it goes. It made in Finland so they should know a thing or 2 about snow. So far in the summer weather it is very quiet, compare to the stock firestone. Also great in rain, not a sticky summer tire has trouble keeping it on an apex when pushed. But so far alot better than a regular all season tire. Haven't taken it on a long drive yet still healing up, as I can only drive short distances as I was badly injured internally more than I though. Last edited by Adriaan; 09-09-2018 at 09:41 PM. 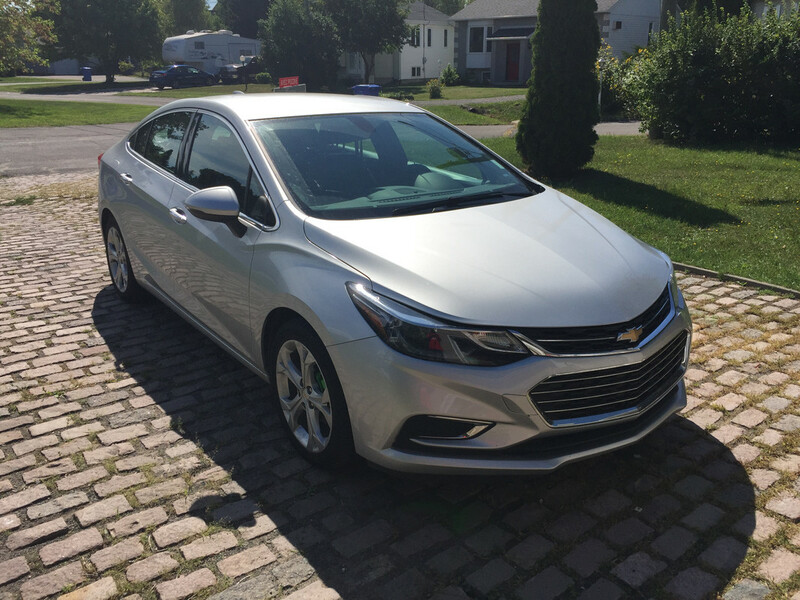 I've driven the Cruze, and I like it very much. I think it's a handsome car. I love the conservative styling. The hatchback also looks great! Yes, Opel platform, so the car actually feels very European. 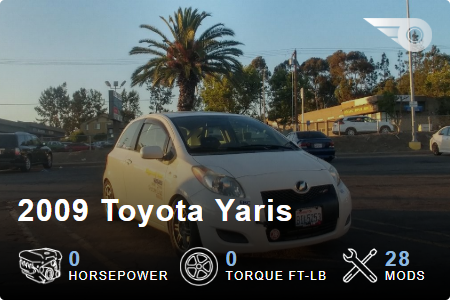 It's rated right up there with Corolla for reliability. BTW, does the LTZ model have a power driver's seat with lumbar support? Thanks. I wanted the hatch but they didn't have at the used car place I went to. Supposedly the hatch is heavier than the sedan so the gas mileage is better on the sedan. The tank is only a bit bigger than the yaris at 11gal. The ecotec engine has been around since 94, my dad is a GM guy, says they are very reliable engine as GM has a years to improve on it since it was introduced, once the owner takes care of it. It is up on the list as reliable with the 4age and B18. They all have there quirk, but still very reliable. It does have the power driver seat, slight lumber support I find when compared to the yaris, but I think the RS version has one that is adjustable, not sure. Never liked the Chevy bowtie, so changing the grille badge from gold to black makes sense to me. I'd probably change the rear bowtie to an Opel badge just because I like it's simple design. Cruze to Astra is good. 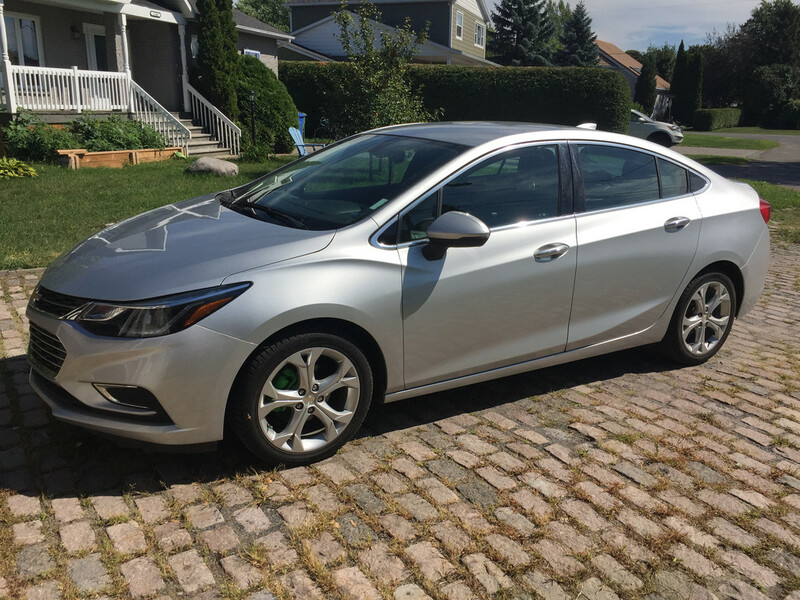 In my fender bender post, we've been talking about how I was given a choice by the rental company to take a Mazda 3 or Chevy Cruze. Your car looks exactly like the Cruze I could have taken, down to the color. Funny coincidence. That's what I though when I got it, but it has everything I need plus insurance is cheaper on the cruze than a Mazda 3, or corolla which where also on the lot. I've mostly seen enterprise with these cars, I guess they have a contract with them. Congrats on the new car, I rented one a while and drove it off the oregon coast on the 101, really good actually and then tame for flying 75mph roadtrips. avg 37 mpg? something good. if it was a manual im sure it would be worse, but i liked how it was all laid out, how it felt and no real issues or complaints. im sure its a good un! Yeah, no hate at all. Based on what others have said, it's an Opel and has great reliability. Looks good, too. If you haven't already, update your Wheelwell garage with the new hotness.